UPDATE: I now have a new coaching website where you can schedule your Walk and Talk, Purpose Coaching and Creativity Coaching sessions. 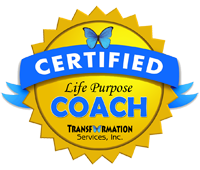 If you need help or are wondering if a coach is right for you, please spend some time reading about my services, my coaching method and what my coaching clients have to say, then schedule your FREE 30-minute consultation. E-mail Joran today for more information on his Coaching and Facilitation Services.